ST. GEORGE — Over the last year, record wildfires have raged across the west, including the devastating Brian Head fire in Southern Utah. The Bureau of Land Management is currently seeking public comment on its plans to reduce such catastrophic infernos in the future. The BLM is conducting public meetings in six western states to gather input on the preparation of two programmatic environmental impact statements, or PEIS, aimed at reducing wildfires and restoring sagebrush steppe habitat. The impact statements will analyze future projects in Idaho, Nevada, Oregon, Washington, Utah and California. Southern Utah residents will have a chance to sound off on the plans at a public meeting in Cedar City Feb. 14. Comments will be accepted for an analysis of fuels breaks, which are designed slow the advance of wildfire and reduce the threat to life and property, among other benefits. 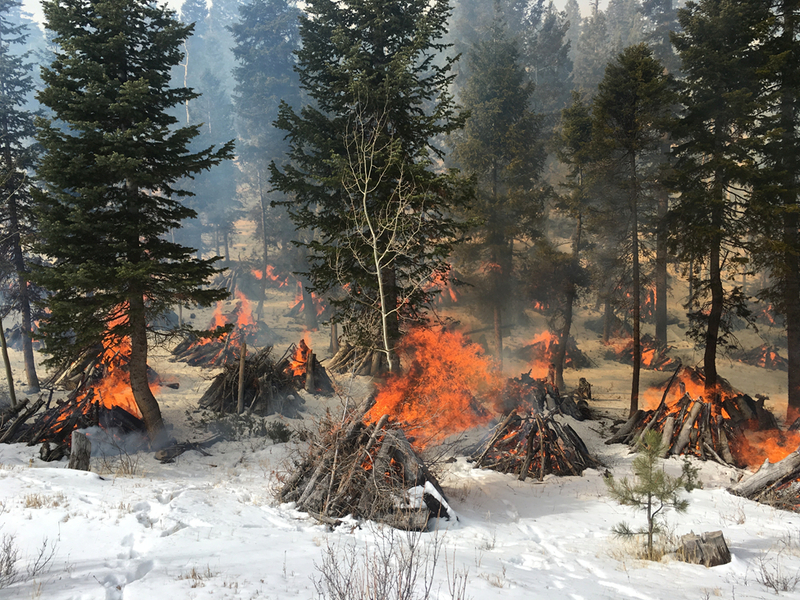 “The fuel break PEIS will help us to limit the size of wildfires and provide better protection for the public and firefighters,” John Ruhs, BLM Nevada state director, said. Comments are also solicited for the analysis of restoration work of burned areas, which includes an emphasis on replacing invasive species with native and other species more conducive to sagebrush-steppe health. The BLM expects the analyses to streamline future fuel break and restoration projects, reducing the need for in-depth evaluation on an individual project basis. The public meeting in Cedar City will be held at the Heritage Center’s Festival Hall, 105 N. 100 East, Feb. 14 from 5-7 p.m. The BLM will also accept public input in writing until March 1, which may be submitted at the public meetings, by email at GRSG_PEIS@blm.gov or by fax at 208-373-3805. Written comments may also be sent via mail to Jonathan Beck, BLM Idaho State Office, 1387 S. Vinnell Way, Boise, ID 83709. Generally speaking our national forests have a significant footprint of pine bark beetle damaged trees, out here in the Western US. Dead or dying trees, coupled with enormous volumes of fuels on the ground, lead to an obvious outcome when lightening strikes, or some deadbeat is burning brush illegally, and loses control of his brush pile. Maybe the obvious answer is too simple: allow strategic logging within the national forests to not only remove dying trees, but require some removal of ground level fuels when taking these tall trees. There has to be a compromise situation where the value returned for the logging operation is sufficient to allow some additional brush removal, while the necessary equipment is in the area. Maintaining status quo is an unacceptable answer if we value our national forests. no.no.no you’re out of line now. you are suggesting that citizens and government actually take responsibility ! you got a lot of nerve lol ! Get SUWA out of the way and give control of our forests back to those who actually know how to manage forests. To clarify, this a BLM process, not USFS. Most BLM lands tend to be lower elevation PJ forests in Utah so no bark beetle infestations. I’m also not aware of much commercial interest in that type of timber as most projects tend to be slash and brush hog. BLM has cleared alot of forest in the last decade with support from science showing the PJ density is very high for historic norms.